Deep Freeze again welcomes Wilfred Stijger and Edith van de Wetering, from Katwijk, Netherlands. 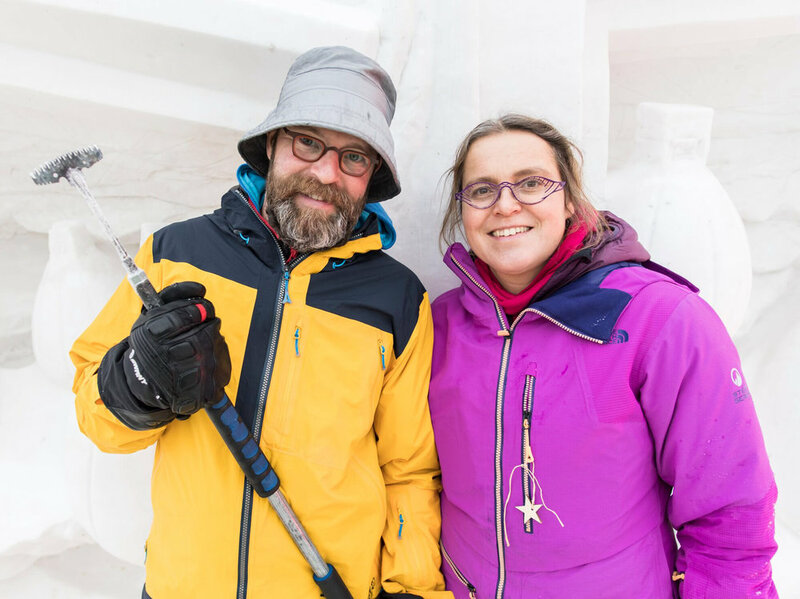 These two international ice and snow sculptors travel the world transforming winter landscapes everywhere they go. We are excited to have them back as our guests this year carving magical ice sculptures inspired by the festival theme Winter Tales. Welcome back, Wilfred & Edith!